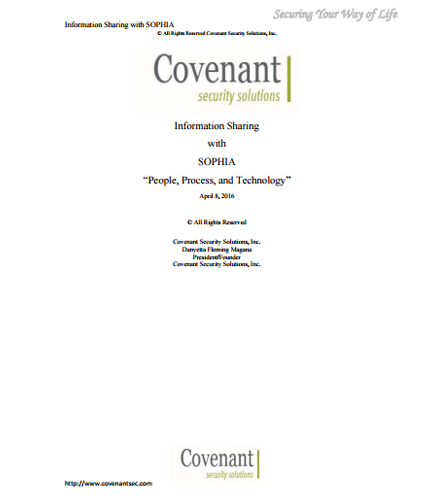 "Information Sharing with SOPHIA “People, Process, and Technology”"
Information Sharing with SOPHIA has become an important aspect for organizations to improve the protection of their systems, process, or people based on the regional threat. By integrating SOPHIA's information sharing processes, it becomes easy for firms to share information on related risk profiles using modular functions. This white paper refers to the day to day users of SOPHIA’s services and victims that suffer from any part of the cascading effects of a physical or cyber-security attack on a sector. What is an Electronic Auction and why should you care? How to successfully run eAuctions? Electronic Auctions promote fair competition and transparency, driven by market dynamics. Electronic Auction is a really great way to select the best suppliers and an ideal way to collect market feedback. This white paper gives the basics of eAuctions, ethics of eAuctions and provides guidance in running eAuctions successfully to achieve greater value in business. So do you think eAuctions make a difference? eAuctions can make 5% difference on final price you pay each time for goods and services. Company that runs eAuctions more gains more market value than the one which runs none. What are the different types of Electronic auctions and when should you use them? For all types of electronic auctions communication is the key. Each auction type differs on variations and parameters. Classic Reverse Auction used for larger number of supplier bidding. English Reverse Auction used when each bid is lower than the current bid. Dutch Auction type works well when there are less suppliers. Japanese Auction type is the reverse of Dutch Auction. Download this white paper to learn about how to successfully run eAuctions, And refer to the five golden rules for eAuctions success and addresses both the mechanics and behaviours of Procurement that drive the greatest value for organizations.